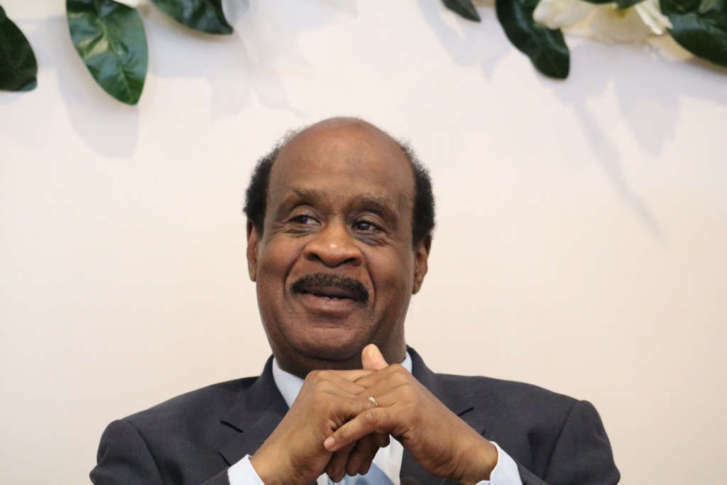 Ike Leggett and his wife, Catherine, were honored Sunday at the Leggett Legacy Forward event, which was free and held at the Music Center at Strathmore. It also doubled as a fundraiser. WASHINGTON — Montgomery County’s outgoing county executive remembers scraping his way through college. Now, he and his wife are helping pay it forward in dollars and cents, so local students can get the support they need to succeed. Ike Leggett said he has fundraising efforts at his Alexandria, Louisiana community church to thank for his very first college scholarship — all $12 of it. Leggett also asked a Louisiana state senator who had given him a resounding “no” at first, but eventually gave in with some persistence. “Once I realized the benefits of college, I really devoted myself — opened my heart, my arms, my intellect and whatever I could — to devote an effort to make sure I would do well,” he said. Four degrees later, and many years of service to Montgomery County, Leggett and his wife have established their own fund: The Ike and Catherine Leggett Scholarship. “This scholarship fund my wife and I are establishing is designed in a way to help those who are underprivileged, those who need resources in order to go to college, either the University of Maryland at Shady Grove or Montgomery College,” Leggett said. Ike Leggett, who has served three terms as County Executive, announced nearly two years ago that he would not seek a fourth term at the county’s helm. He and his wife, Catherine, were honored Sunday at the Leggett Legacy Forward event, which was free and held at the Music Center at Strathmore. It also doubled as a fundraiser. Donations rolled in during the latter portions of the event, via text message and old-fashioned check, which helped meet the $1.7 million goal. Now, they’re looking to raise an additional $300,000 to meet their new $2 million goal. The Ike and Catherine Leggett scholarship fund will benefit students throughout Montgomery County who participate in the Achieving Collegiate Excellence and Success program, also known as ACES, a free program at 14 participating county high schools. High school students can apply to the program while in 10th grade. They receive support during 11th and 12th grades, while navigating the pathway first through Montgomery College, then a bachelor’s degree at the Universities at Shady Grove. Donations can be made to the scholarship fund through the Montgomery College Foundation, or the Universities at Shady Grove Foundation.